Anona Lee Hinshaw1,2 [Anonalee Hinshaw3, Anona R. Hinshaw4]. 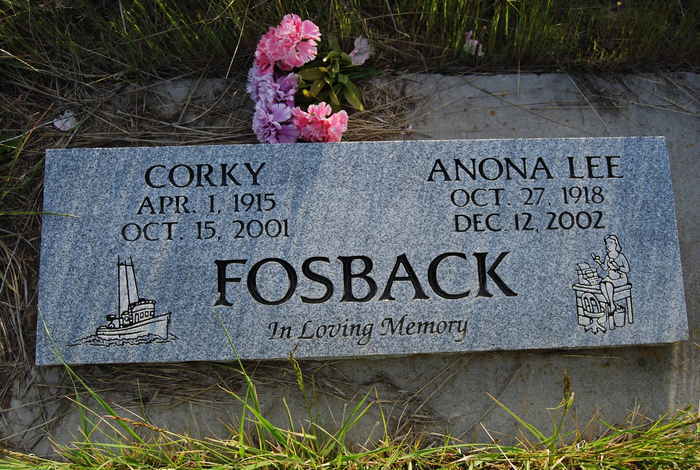 Anona Lee Fosback, 84, of Summer Lake died Dec. 12, 2002. She was born Oct. 27, 1918 in Mount Vernon to Inez Viola (Moore) and Albert Oral Hinshaw. She married Cornelius Fosback on Oct. 17, 1945 in Eugene. She was employed as a secretary. She lived in Lincoln County from 1945 to 1965. In 1983, she moved from Salem to Summer Lake. She enjoyed traveling. Survivors include two sons, Lyle Negus of Summer Lake and Gary Negus of Paisley; a brother, Ted Hinshaw of Gresham; four grandchildren; and 15 great-grandchildren. A memorial service will take place at a later date in Mount Vernon. Memorial contributions may be made to Bend/La Pine Hospice. Niswonger, Reynolds and Tabor Funeral Home of Bend is handling the arrangements. Ancestry Family Tree data posted by "hulett57"; http://www.ancestry.com. Ancestry Family Tree data posted by "civic6"; http://www.ancestry.com. Obituary of Roberta "Bobby" Negus; "Herald and News" (Klamath Falls, Oregon), Dec 25 2003; "Obituary Collection", http://www.ancestry.com. Contribution from Janeane (Hinshaw) Hampton. Ancestry Family Tree data posted by "kenbowman156"; http://www.ancestry.com.